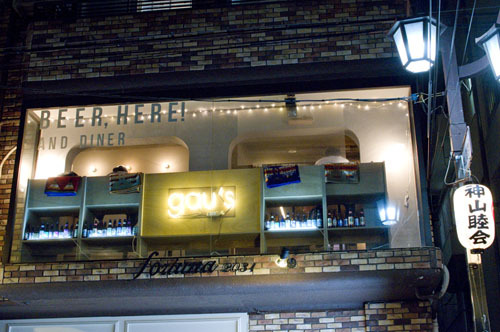 Notable for their late-night hours, Gau's offers a handful of US craft beers on tap from breweries like Lost Coast, Rogue and Left Hand, with three-part tasting flights a popular option. They only have six taps, and they can get repetitive (during our first visit there were three Rogue beers on tap), but there's also a fridge full of US- and European-import bottles and cans for greater variety. 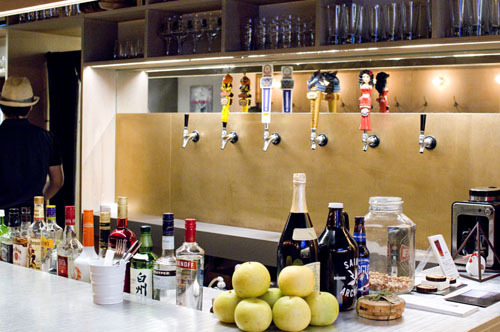 The food menu features several different poutine variations along with other beer-friendly late-night snacks. The "ethnic poutine" is simple but quite compelling - just french fries served with melted cheese, sriracha sauce and cilantro. 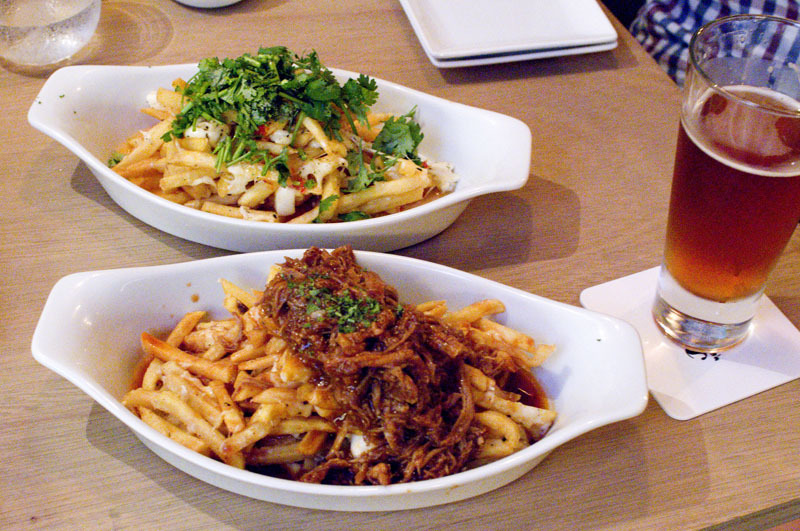 Pulled-pork poutine was topped by a mound of fairly tasty pork, although we would have enjoyed more cheese for balance. The dining room is pleasantly decorated, with several tables and a counter that seats six. 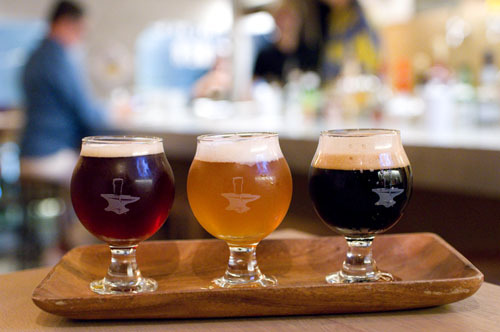 Most beers are priced at Y950 per glass, tasting flights are Y1200, and bottles and cans average Y1400-1500. Hefty, full-size portions of poutine are Y1000-1200. Shibuya-ku, Kamiyamacho 16-4, Villa Metropolis 2F. Open tpm-1:30am (LO; Fri, Sat -3:30am). Closed Mondays.